What is a Jacuzzi Filter Cartridge? 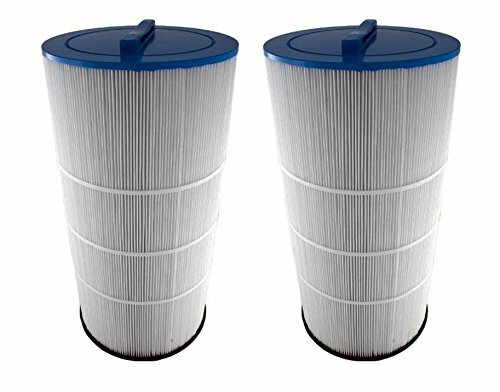 Why Replace the Filter Cartridge? Have you just purchased a second hand hot tub and aren’t sure how to put in a new filter? Are you looking for a way to improve the quality of the water in your existing spa? Do you find yourself noticing dirt and debris building up more and more in your Jacuzzi? If any of these are true for you, it might be time to replace your Jacuzzi cartridge filter. Jacuzzi filter cartridges are an important part of the operation of your hot tub. They do a lot to improve the overall quality of your water, and they can keep your hot tub safer as well. When it comes time to replace your Jacuzzi hot tub filter cartridge, you might find it very confusing and difficult to figure out which type of replacement cartridge to purchase. You might even be a little unsure as to how to install your new filter cartridge, too. But don’t worry! That’s what this article is here for. Below, you’ll learn more about how to install your Jacuzzi pool filter cartridge, as well as why it’s important to keep up with this important hot tub maintenance step. You’ll also be introduced to thirteen of the best Jacuzzi spa filter cartridges on the market today to help make your shopping go that much easier. So what are you waiting for? It’s time to learn about spa filters and find the right one to suit your needs. If you’re new to hot tub ownership or just haven’t ever really looked into your spa, you might not be sure what a filter cartridge really is. Inside your hot tub (or nearby on the outside, depending on your model), you should be able to find your filter. This is the part of your hot tub through which you fill the spa, and water moves through the filter in order to remove bacteria, sediments, and debris before it gets to the tub portion of your spa. Inside the filter housing unit, you can see the filter cartridge. 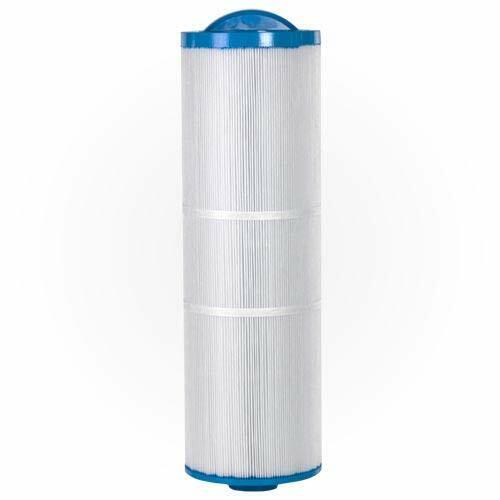 Many filter cartridges have handles, but even if they don’t, this should be a large cylinder that is easy to recognize. This is the part of your filter that water passes through, and it is this cartridge that catches all of the unwanted materials in your water before it gets to you. It’s very important to keep your filter cartridge clean and replaced as often as necessary to make your water clean and safe for use. Now that you know how to recognize your filter cartridge, you might be wondering why you need to replace it. Shouldn’t it be okay to just leave it alone and maybe clean it every once in a while? This might be true for some of your filter cartridge’s life, but overall, it’s very important to keep up with a regular replacement schedule. Check out this list to understand why it’s important to replace your filter cartridge. Over time, filter cartridges may get too grimy or built up with debris. Even if you clean them often, eventually, it will be too difficult to remove all the build-up from your filter cartridge media. When this happens, your cartridge will be unable to be cleaned further, and it will be time to replace it with a fresh, new one. Over time, filter cartridges may become damaged. The more you remove, rinse, soak, and replace your filter cartridge, the more chances it has to become torn, damaged, or weakened. When this happens, your filter cartridge will not be as effective anymore, and you’ll find that the whole filter won’t work as well. Too much debris on your filter cartridge can damage your hot tub. If debris builds up too much in your filter, it might break loose and float into your pipes. From there, it can enter your jets or even your pump. If this happens, the repair bill could be significant. A blockage in your water pump is enough to completely break your whole hot tub system, and it will have to be fixed before you can continue to use your spa. You might start seeing dirt in your hot tub water after a while. Even if your hot tub doesn’t get damaged, grime and dirt that builds up on your filter cartridge media may float into the bath portion of your spa instead. You’ll start to notice more of a slimy feeling in your water, and you might even see pieces of dirt and other objects floating in your spa. This definitely means it’s time to replace your filter. Depending on the type of hot tub you have, you might need to replace your filter cartridge more or less often than you would with other types. Keeping up with a regular schedule of cleaning and replacing your filter is an important part of being a hot tub owner. Keep these tips in mind to be sure you’re always replacing your filter cartridge when the time comes. For most filters, you’ll need to replace the cartridge every year. This is a good rule of thumb without any extenuating circumstances present. If you have very hard or alkaline water, you’ll need to replace your filter cartridge every six months. If you don’t use your hot tub all year long, or if you don’t soak in it very often, you might be able to get away with only replacing the filter cartridge every year and a half to two years. However, you should still remove and clean it as often as usual, which may weaken it even without regular use. If you have a microfilter or secondary filter, it will need to be replaced more frequently than the regular filter will. It’s very easy to remove your existing filter cartridge and replace it with a new one. Although every filter cartridge should come with directions on how to install it, and every hot tub should also include this information in its instruction manual, keep these tips in mind if you need a little more information to help you get started. Turn off the power to your hot tub and drain all the water. You can leave the water in the foot bath if you like. Locate the filter housing unit in your hot tub. Open your filter housing unit and look for your filter cartridge. Most Jacuzzi brand filter cartridges have a handle. If yours has a handle, grab it and twist it to the left to remove the filter cartridge. If yours doesn’t have a handle, you may be able to pull it straight out. Otherwise, there may be a couple of screws you will need to remove before you can get to the cartridge. You can remove these by hand with only a normal Phillips or flat head screwdriver. When the old cartridge is removed, simply put the new one in by reversing the process. Slide it back into place and twist it to the right to install it. If you had to remove any screws, put them back in by hand using a screwdriver. Refill your hot tub through the filter and let it run at least one cycle before using it. Choose the J﻿﻿acuzzi 2540-383 Filter Cartrid﻿﻿ge for J-400 Series when you’re looking for one of the best Jacuzzi J 480 filter replacement options on the market today. This filter cartridge is designed to work seamlessly in place of your existing Jacuzzi cartridge of the same model number, and since it’s made by the Jacuzzi company, you can be sure you’re getting a high-quality product every time you purchase this replacement filter. This filter is only available individually, and cannot be purchased in bulk to save money. This is a durable filter that’s sure to fit in your Jacuzzi brand hot tub every time. The sturdy plastic casing surrounding this filter won’t bend or break, even with extended use. The filter media itself is affixed to the casing in order to keep it from tearing or breaking off. This is a very expensive filter cartridge replacement that might be too pricey for some budgets. This filter replacement cannot be used in any products other than Jacuzzi brand ones. This filter cartridge is only meant for use with a certain series of Jacuzzi tubs and isn’t interchangeable otherwise. 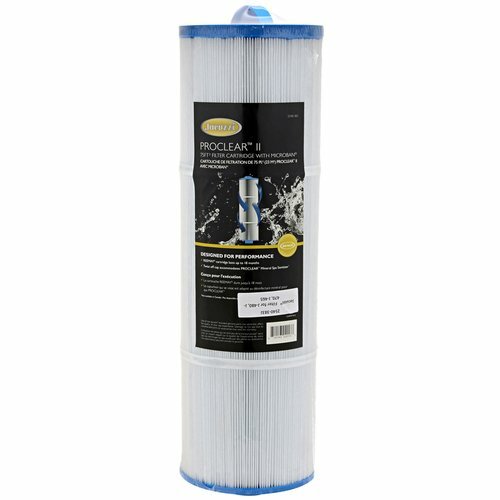 If you’re looking for an interchangeable Jacuzzi J 470 filter that can also work for the J-480 and J-465 options, this replacement filter cartridge is perfect for you. This is a durable product that can be used with a wide variety of different Jacuzzi brand hot tubs. Since this is not a Jacuzzi made filter cartridge, it is capable of being used with other products as well, which can make it more useful overall. This also makes it a little bit more affordable than some of the other products listed here. This is a powerful filter that has plenty of fine pleating to make it easier than ever to capture dirt and debris. ​This filter is strong enough to withstand many frequent cleanings and uses. ​The filter is equipped with a handle to make it easy to install and replace when the time comes. Although this filter is a little bit more affordable than Jacuzzi name brand products, it is still more expensive than several other off-brands. This filter is not available in bulk options and can only be purchased individually. The filter media is not threaded to the casing in this cartridge. 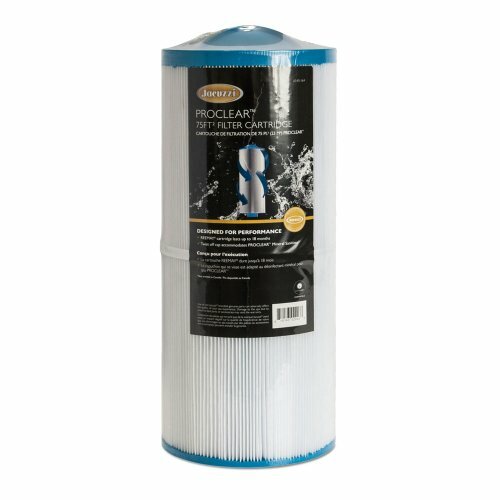 The Jacuzzi Proclear II Polish Filter is a great solution for J-400 series hot tubs. However, it is important to note that this is meant to be used as a secondary filter, and it is not powerful enough to filter the entire hot tub on its own. If you’re looking for a great way to make your hot tub water even cleaner than ever before, look no further than this excellent additional filter to help you improve the overall quality of your soaking water. You’ll be surprised at just how well it can remove bacteria and debris when used in conjunction with the main filter. This filter is made by the Jacuzzi brand, which is known for its high-quality products and its great customer service. ​This is a very durable filter that won’t become damaged or weakened with extended use. ​This filter is very easy to install even though it isn’t the main filter component. Since this is a secondary filter, using it can make your filtration much more expensive. This filter has been known to not fit correctly with some of the J-400 series hot tubs. This filter may need to be replaced more often than your main filter. If you’re looking for a powerful filter that can get a lot done in terms of cleaning your hot tub water, look no further than the Jacuzzi 2540-383 Filter Cartridge. This name brand Jacuzzi product is made to be used in conjunction with the Jacuzzi Proclear II Polish Filter, but it can also be used on its own in some models of hot tubs. Whichever way you choose to use it, it’s sure to provide you with healthy, crystal clean water every time you run your hot tub. Give it a try today and you’ll see for yourself what makes this a popular filter option. This filter features threaded filter media that won’t detach from the casing easily. ​The plastic casing this filter is made of is durable and won’t flake or break with extended use. ​This filter is very easy to install and replace using the built-in handle. In some hot tubs, this filter cannot be used without the addition of a secondary filter as well. This is a very expensive filter cartridge that costs much more than many of the others listed here. This filter might be difficult to clean when exposed to very hard water. This sturdy ﻿﻿J-LX/J-400 75 sq. ft. Filter is designed for use in many of the J-400 series Jacuzzi brand hot tubs. This is an excellent name-brand product that is sure to provide you with the right amount of filtration you need to create the cleanest and most comfortable hot tub experience imaginable. Since this is a larger filter, it works well for larger hot tubs, and it’s a great solution for anyone concerned with keeping clean water at all times. Use it on its own or in conjunction with a secondary or microfilter to create the right experience for you and your family. This powerful filter can be used along with a secondary filter if desired, but it doesn’t have to be. ​This filter is easy to remove and replace when it’s time to clean or rinse it. ​The pleating in this filter is easy to separate by hand and rinse out with your garden hose. This filter can only be used with certain hot tubs from the Jacuzzi line, which makes it less universal than other filters listed here. This is an expensive filter that may be over-budget for some hot tub owners. This filter may not be able to hold up to very hard water use. Choose the Jacuzzi 2540-383 Filter Cartridge J-400 Series when you’re looking for a durable filter cartridge replacement made by the Jacuzzi brand. This filter is one of the most popular options for hot tub owners with J-400 series hot tubs. This includes both the J-470 and J-480 spas, as well as many others. When it comes to choosing the best option for your hot tub, you can’t go wrong with this simple but very powerful option. Stock up on a few of them to make filter cleaning day even easier. This filter is available through Amazon Prime, which means you can get free shipping when you order it. ​Since this is a name-brand product, you can enjoy the benefits of Jacuzzi brand customer service when you purchase it. ​This filter is designed to hold up to extended use in your spa and may not even need to be replaced yearly with the right care. This filter is not available in sets of more than one, so buying in bulk won’t save you money. Hard water will weaken this filter quickly and will mean you need to replace it sooner. It can be difficult to effectively rinse out the pleats in this filter. Stock up on two Jacuzzi 6000-383 Filters to keep your filter cleaning day running smoother than ever! With these filters, you’ll be able to keep your hot tub water clean for a long time to come. These filters are made with all the quality assurance you’ve come to expect from the Jacuzzi brand, and you’re sure to be pleased with the durability and power behind these simple but effective filters. Install one in your hot tub today and see for yourself what a difference it can make to use a name-brand Jacuzzi product. Since these are real Jacuzzi products, they are made to fit perfectly into your hot tub without any trouble. 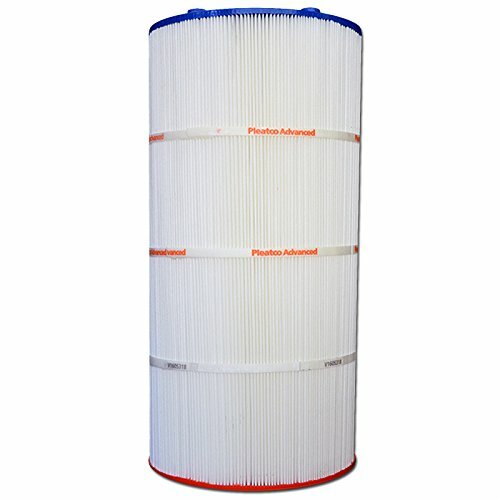 ​These filters are threaded to help keep the filter media in place for as long as possible. ​Since these filters are available in a set of two, they’re a much more affordable alternative than some of the others listed here. The paper media in these filters has been known to dissolve when exposed to harsh cleaning chemicals. It may be difficult to thoroughly clean between the pleats in this fine-pleated filter. This filter may be hard to clean if you have very hard water. Are you looking for an affordable replacement filter for your hot tub that won’t break the bank? Do you prefer to purchase off-brand products to help save a little money and make it easier for you to stock up on plenty of filters to rotate out as needed? If so, choose this Pleatco PJ100-4 Replacement Cartridge for Jacuzzi hot tubs. This is an excellent choice when you’re looking for a durable filter and aren’t too concerned with name brand products. This is a very affordable filter cartridge replacement that comes in well under budget for many hot tub owners. ​This filter is reinforced to keep the filter media from separating or breaking easily. 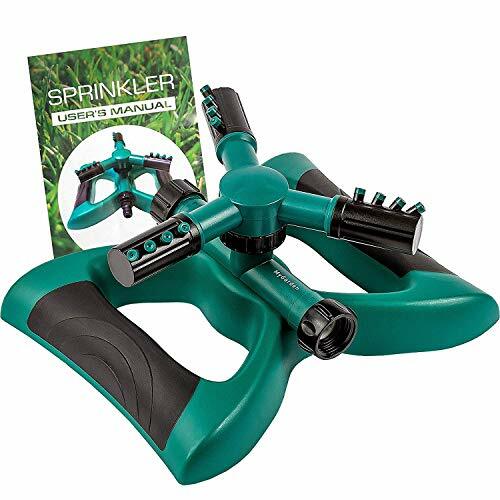 ​It is very easy to rinse this filter simply by opening the pleats by hand and using your garden hose. The plastic cartridge casing on this filter has been known to break and flake off in the water. Since this isn’t a Jacuzzi brand product, it might not fit perfectly into every Jacuzzi hot tub. This filter doesn’t feature as many pleats as some of the other products listed here. This 6540-507 Spa/Jacuzzi Filter is made by the Sundance brand, which remains one of the most popular Jacuzzi brand alternatives on the market today. You can use it in many of the Jacuzzi brand hot tubs, but it’s also interchangeable with several other brands of spas, which makes it a very good option if you’re looking for something a little bit more universal. Although it’s built a little differently than Jacuzzi brand spa filters, you’re sure to be pleased with the results when you incorporate this filter cartridge into your regular water treatment routine. This filter is threaded for additional reinforcement to keep the media firmly in place. ​This is a durable filter that can hold up to a lot of use even when exposed to water treatment chemicals. ​The Sundance brand offers a lot of great customer service and quality assurance. 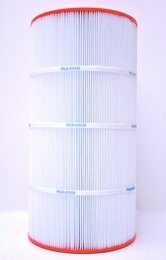 This filter doesn’t have as many pleats in it as some of the others listed here, which may make it less effective at catching dirt and debris. This filter does not feature a handle to make it easier to remove and replace. This filter is very expensive despite not being made by the Jacuzzi brand. 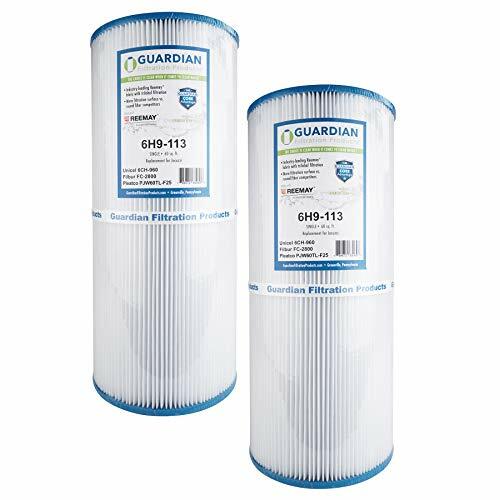 Choose these Guardian Pool Spa Filter Replacements if you’re in search of an affordable off-brand alternative that’s sure to keep your water as clean as possible for a long time to come. This filter is a comparable option if you have a Jacuzzi 400-series spa, and it also works with several other hot tubs on the market today. Whether you’re looking for a great low-cost option or you just want a filter you can buy in bulk, this cartridge replacement is sure to be just what you need to keep your water fresh and clean. These filters come in a convenient pack of two that makes it easy to stock up on them while saving a lot of money in the long run. ​With an added handle, you can remove this filter for cleaning with just a quick flick of the wrist. ​This filter works well with a variety of different hot tubs. Depending on the type of hot tub you have, this filter might not fit perfectly into the filter housing unit. This filter’s media isn’t reinforced and may come loose when used and cleaned often. You may need to replace this filter more often than every year, depending on the quality of your water. Pick up this Pleatco PJ120-4 Replacement Cartridge and get ready to enjoy amazingly clean, fresh water without having to spend the same amount of money you would on a Jacuzzi brand product. This durable filter is large enough to take care of filtration in bigger hot tubs but small and light enough to make it easy to work with when it comes time to clean and replace it. Best of all, this product is available from Amazon, which means you can enjoy free shipping the next time you need to stock up on it. This filter is easy to install and replace with a convenient built-in handle. ​This filter works well on its own or in conjunction with a secondary filter or microfilter, depending on the type of hot tub you have. ​Since this filter is available through Amazon, you can enjoy free shipping when you buy it. Because this filter isn’t reinforced, the pleating may come loose very easily after just a few uses. The plastic casing around this filter may develop holes and breakage after a few uses. These filters may be too expensive for a non-Jacuzzi brand product for some buyers. This set of two Unicel 120 sq. ft. Jacuzzi Filter Cartridges is sure to provide you with just the right amount of filtration for twice as long at a fraction of the cost of some of the other products listed here. These filters are made by the Unicel company, which specializes in providing universal filters that work with just about every type of spa on the market today. These filters are a great solution for 400-series Jacuzzi hot tubs, but they are also able to be used with a variety of others, as well as in some pools. This filter features many pleats, which makes it better at trapping dirt and debris. ​Since this filter is made by the Unicel company, you can enjoy a lot of customer service and support if needed. 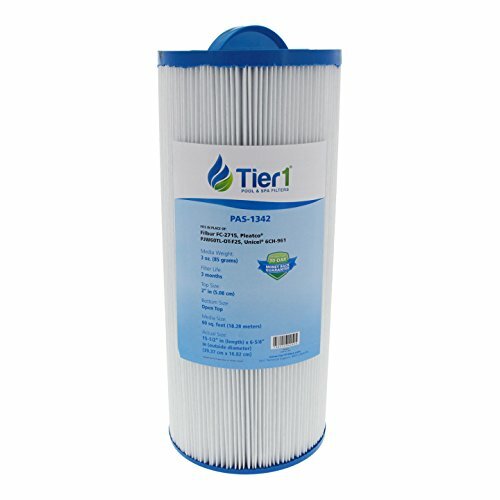 ​These filters can be easily cleaned by separating the pleats by hand and rinsing with a garden hose. The filter media in these cartridges isn’t reinforced, which means it could pop loose over time. In some Jacuzzi models, these filters might not fit securely into the filter housing unit. These filters may not hold up well to very harsh chemical treatments and cleaners. Choose the Jacuzzi Premium J-300 J-400 Comparable Replacement Spa Filter Cartridge for a low-cost filter that can give you all the clean water you need for up to a year. This filter cartridge can be used in many different Jacuzzi brand hot tubs, and since it’s designed with the same shape and style as true Jacuzzi brand filters, it’s easy to work with and even easier to install and replace. Best of all, this is one of the only non-Jacuzzi brand filters that comes complete with plenty of pleats to provide the best possible filtration from dirt, debris, and bacteria. This is one of the most affordable filter replacements on this list. ​This filter is interchangeable in many different hot tub models, which makes it a very convenient choice. ​This filter features a handle to make it easier for you to change it when the time comes. The filter media in this cartridge refill isn’t reinforced and may pop loose with frequent use. This filter media is made of paper, which may disintegrate over time when exposed to water treatment and cleaning chemicals. The plastic from the casing around this filter may flake and drift into your water over time. With so many different filter cartridge replacements available for purchase, you can easily find just what you need for the best possible results in your hot tub. Whether you are looking for something made by the Jacuzzi brand to keep your Jacuzzi hot tub running strong or you want to find something that comes in under budget to make it easier and more affordable for you to keep your water cleaner for longer, there is the perfect hot tub filter just waiting for you to discover it among those listed here. Remember that replacing the cartridge in your spa filter doesn’t have to be a difficult process, and once you choose the right one, all you’ll really need to do is remove the old one with a few simple steps and replace it with the new one. This is all you’ll have to do when it’s time to clean or rinse your filter, too. Hot tub maintenance has never been easier! Whichever filter you choose, you’re sure to enjoy months or even years of quality water as soon as you install it. Pick up your favorite today and get ready to find out how useful it can be to have the right filter installed in your spa.